My niece recently had vacation from Canada and decided to meet some of her friends in SM Megamall. We decided to have dinner at Super Bowl of China. 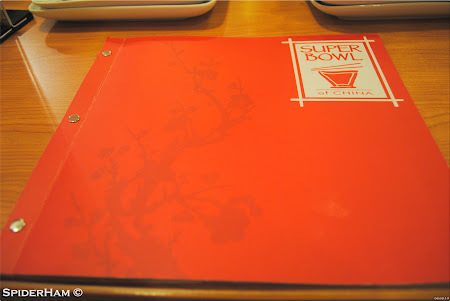 This is my first time dining in Super Bowl of China and I decided to write about it. Based on my understanding their specialty is of course, Chinese inspired delicacy. 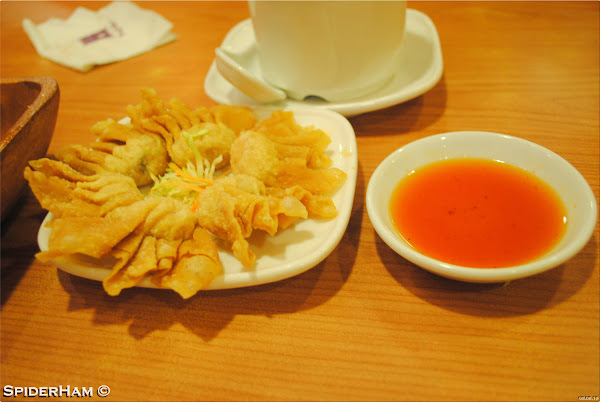 The Deep Fried Wanton we ordered came with the sweet and sour sauce perfect for fried dumplings. 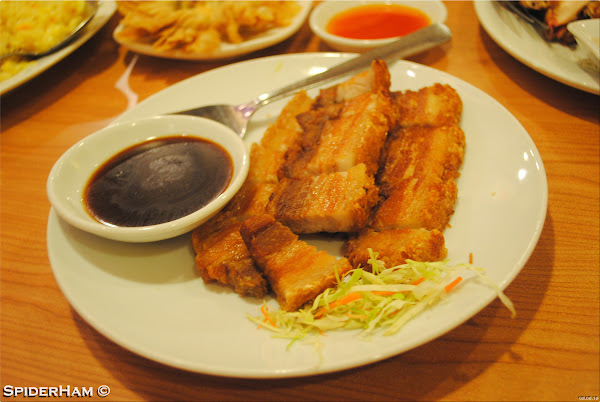 As usual our meal won't be complete without trying Superbowl's version of Lechon Macau complete with the sauce which I just found out today was called Hoisin Sauce. 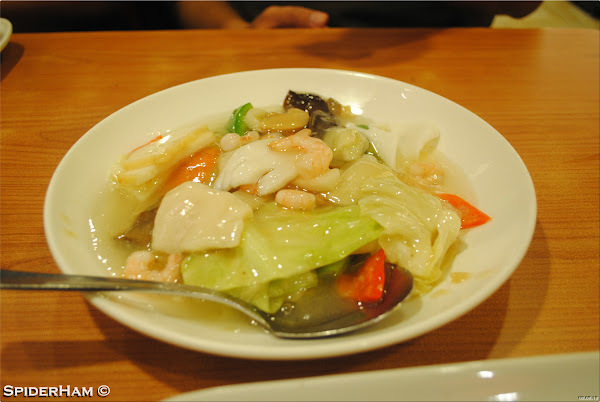 And since we are with my mother who obviously wants some vegetable in our meal to compensate for the large amount of cholesterol friendly dishes, we ordered Seafood Chopsuey. And my niece who only eats chicken in every restaurant she goes, we ordered Fried Crispy Chicken for her. 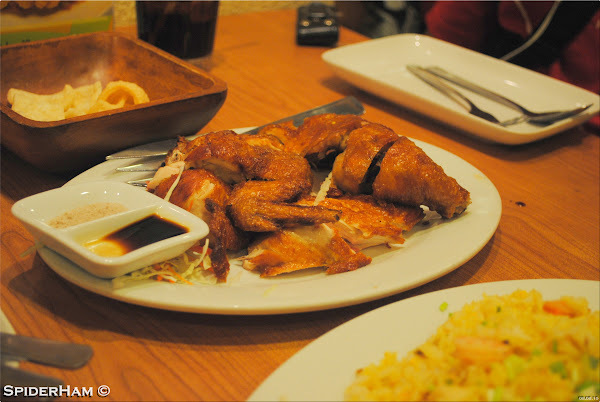 I just took a small portion of the chicken because I still had some unforgettable experience with this type of chicken from another restaurant. Service: 7 out of 10 - we need to ask for appetizers (is it Kropek) while we noticed that this was given automatically. 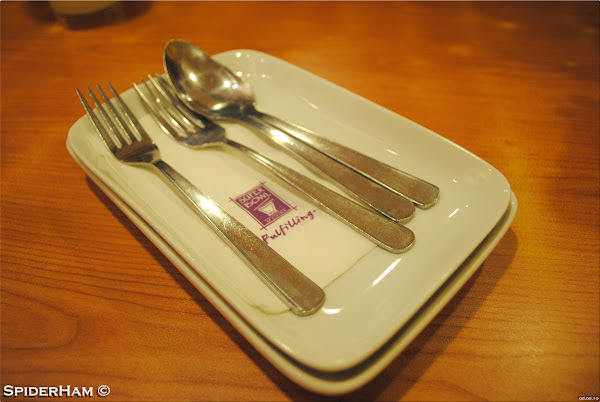 Estimated Budget (per person): 200 PHP - but they do have a 99 PHP Solo Meals.